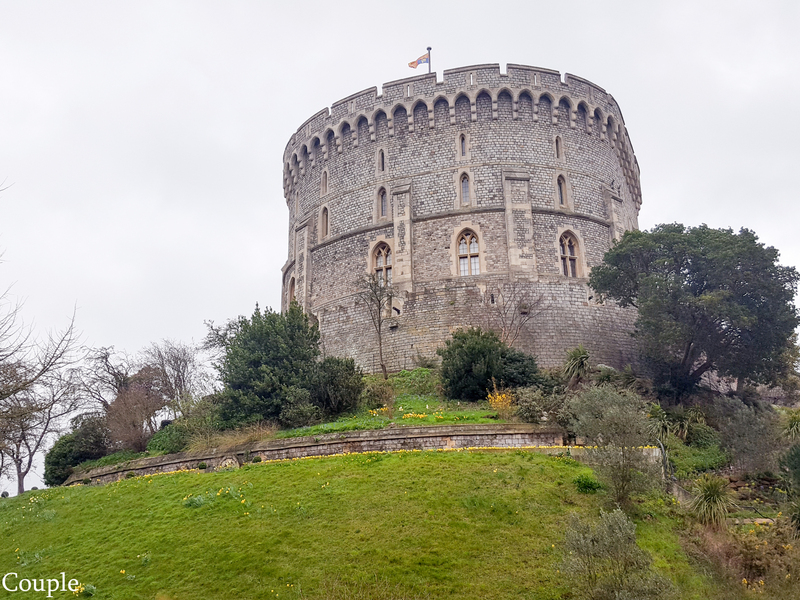 If you are planning on going for another day trip outside of London, Windsor Castle is a perfect recreational place for you! Not only you get to stretch our legs out from the busy city, you get to feel that relax atmosphere along with a little throwback to the medieval era. As mentioned in our previous post: London Pass (http://www.feedthecouple.com/single-post/2016/09/01/London-Pass), the best way to go to Windsor Castle is by taking a national rail via Paddington Rail Station and it only costs £11.00 per off peak day return per one adult. Once you have arrived at Windsor and Eton Central Station, you will be able to see the castle standing tall which occupies 13 acres (5 hectares) of ground above the south bank of the River. Once you have purchased the ticket at the counter which comes with a free audio guide (£20.00 per adult) you are set to wonder around the castle! Depending on the occasion, there may have seasonal exhibition or special guided tour which you will have to pay on top of your general entrance ticket such as Conquer the Tower Guided Tour. (For more information on the entry tickets, check their official website for family package tickets and any other concession tickets). Photography is allowed in most premises, except for State Apartments and St George’s Chapel. The original castle was built by William Conqueror in the 11th century to heighten the security of the village after the Norman invasion of England. The castle’s medieval structure was heavily influenced by the Gothic features along with Georgian and Victorian design. In 1110, Henry I became the first king to use Windsor Castle as a residence who has married Adela, the daughter of Godfrey of Louvain in 1121. Ever since then, many of the monarch has used Windsor Castle as their residence. Some of the notable monarchs are Henry VIII, and Edward VI both in the 16th century, and Queen Victoria and Prince Albert in the 19th century whom have made Windsor Castle as their principal royal residence. It is also during the era of Queen Victoria (also known as the Widow of Windsor after Prince Albert’s death) British Empire has started having close dynamic ties to Europe thus reaching the highest social and diplomatic rise. After Queen Elizabeth II came to the throne in February 1952, Her Majesty the Queen has decided to make Windsor her principal weekend retreat, whereby the day-to-day management is run by the Royal Household. Windsor Castle is not only the largest inhabited castle in the world, it is also the longest-occupied palace in Europe which remains as a functioning inhabited royal home. Just like any other royal palace or castles in the United Kingdom, you will be able to see the changing of the guards. You will see the band marching through the town around 11:00 pm starting from their barrack which is only 500 meters away from outside the castle. The band passes the Guildhall and Old Town before returning to the castle by the Queen Victoria’s statue, and this whole process takes approximately 30 mins. Visitors typically spend about 2 hours at Windsor Castle with the peak visiting hours between 11:00 am to 2:00 pm, and go for a meal at the nearby cafes/restaurants/pubs or have a stroll by the River Thames before going back to the Windsor and Eton Central Station. Overall it is definitely a lovely experience to visit Windsor, perfect for a day trip from a big crowded city whether you are a solo traveler, couples, or family with small children. We hope you enjoyed our blog post, and hope to hear your opinion or suggestion for our future blog. We’ll leave you with some photos we’ve taken outside of the castle. Till then….